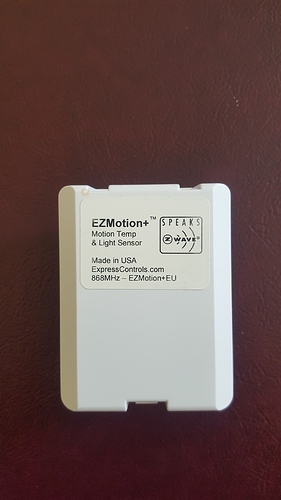 There is a issue at my EzMotion+ 3 in 1 sensor circuit. 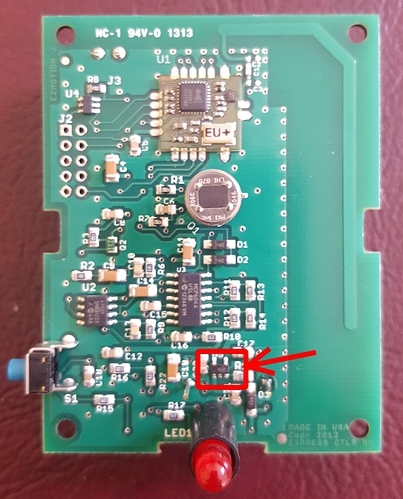 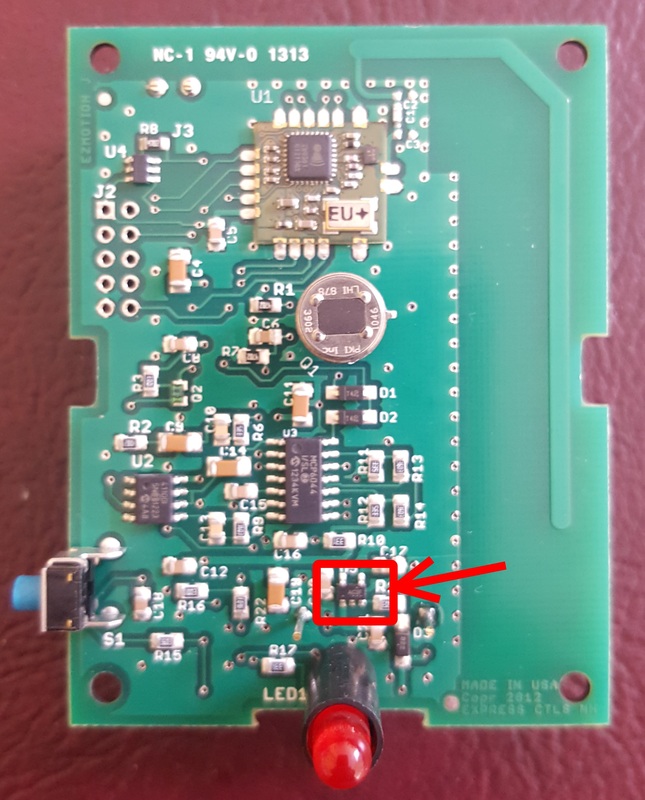 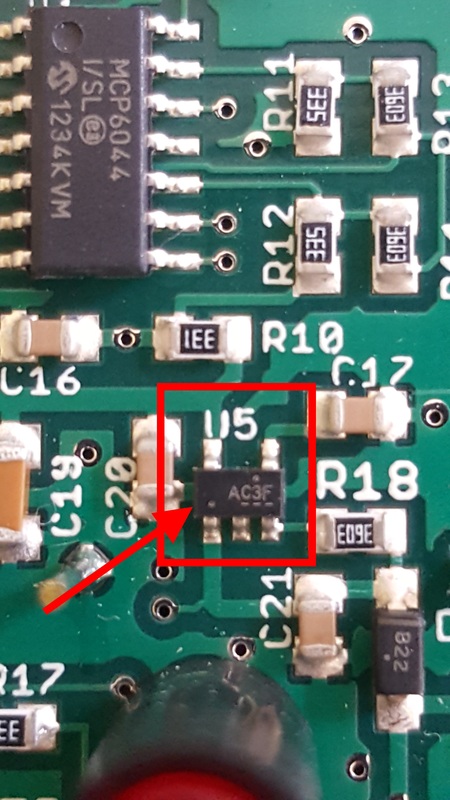 I find the broken component with multimeter but cannot determine brand and model, is there any experienced user help me? 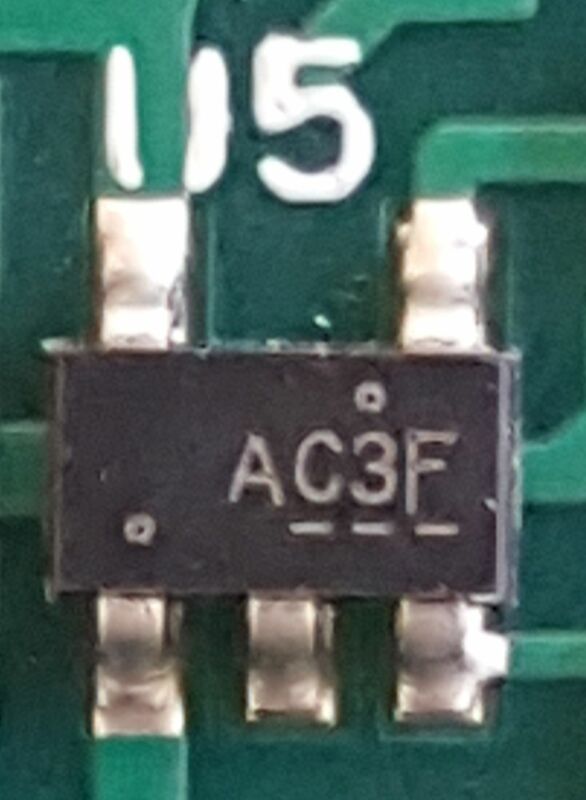 Here is the component picture.AC3F wirites on it.